A row over the use of hamster fur has led a Scottish store to clear its rails of all fur garments. The House of Bruar in Perthshire said it was responding to opinions expressed by its customers. Animal rights groups had protested over the sale of Austrian-made jackets lined with hamster fur. They alleged that more than 100 hamsters had to be killed to produce the fur for one garment, and said the animals often suffered in the process. The coats had been sold for £1,750. Animal rights groups believed House of Bruar was the only retailer in Scotland stocking the coats. In a statement explaining its decision, House of Bruar said: "Having listened to our customer feedback the House of Bruar has taken the decision to withdraw the fur-lined Loden coats from sale. "Furthermore, we will not be purchasing any more of these garments. "We would like to emphasise that as a company we are always receptive to the comments of our customers." The campaign group Advocates for Animals had called on shoppers to boycott the store at Blair Atholl in Perthshire, which they said also sold garments made of mink, fox and racoon fur. Welcoming the decision to clear fur from the store, Advocates for Animals spokeswoman Yvonne Taylor said: "AFA would like to applaud House of Bruar for listening to its customers and implementing a no-fur policy throughout the store. 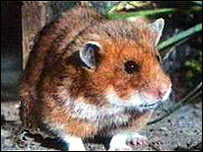 "This is a wonderful victory for all animals who are persecuted for their fur - including hamsters. "We hope that any other department stores still involved in the outdated and cruel fur trade will follow suit." The Scottish Society for the Prevention of Cruelty to Animals commended House of Bruar for its change of policy. SSPCA spokeswoman Doreen Graham said: "This is very positive in terms of animal welfare. "It seemed appalling that animals had to die for the sake of fashion."